Notepad++ is by far the most popular code editor in the market, it is free but limited to Microsoft Windows OS only, for those into coding on a macOS and Linux, here are 6 Notepad++ alternatives, the best programming text editor. For those into wysiwyg editor, I highly advice on learning basic web coding, wysiwyg editor is nothing more than a gimmick and the codes are always messy. 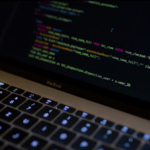 The best way to code a WordPress, Drupal, or Joomla web site is none other than via a proper code editor with html and php. 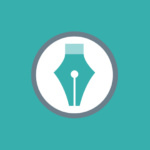 Sublime Text is a sophisticated text editor for code, markup and prose. You’ll love the slick user interface, extraordinary features and amazing performance. 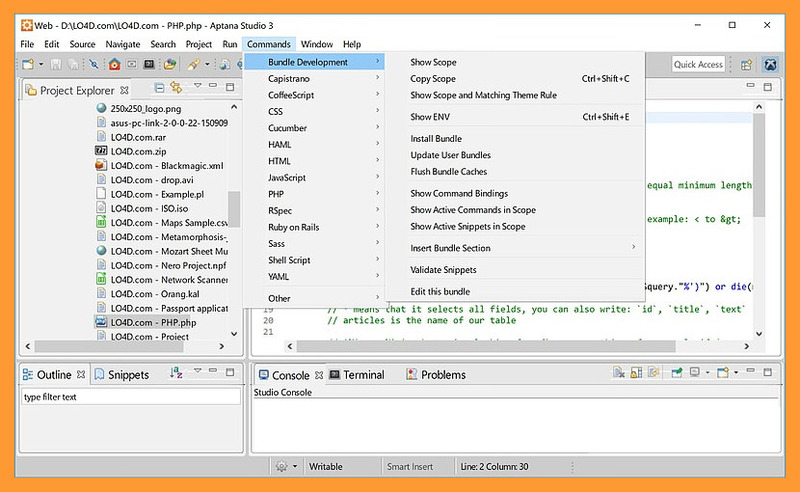 Sublime Text is a sophisticated text editor for code, html and prose – any kind of text file. 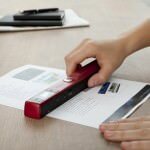 You’ll love the slick user interface and extraordinary features. Sublime Text 2, a previous version of the program, can be downloaded without an expiration time limit for free, but with limited functionalities compared to Sublime Text 3, currently in beta. A hackable text editor for the 21st Century. At GitHub, we’re building the text editor we’ve always wanted. A tool you can customize to do anything, but also use productively on the first day without ever touching a config file. Atom is modern, approachable, and hackable to the core. We can’t wait to see what you build with it. 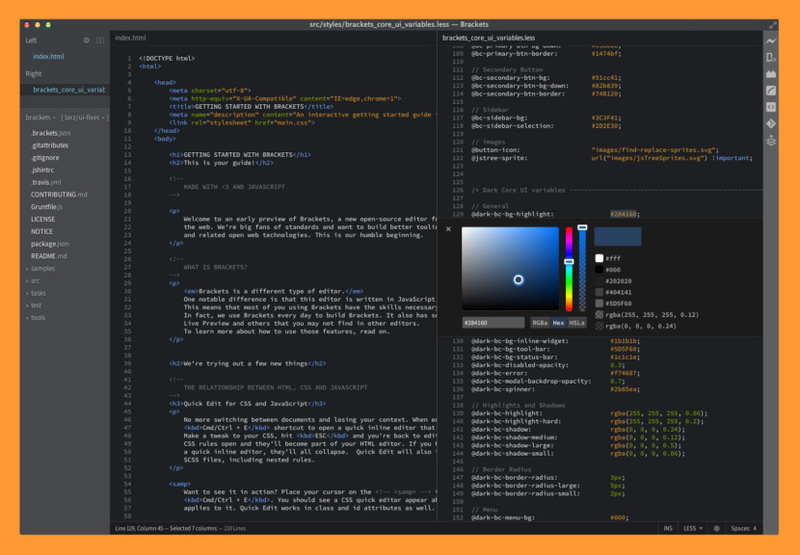 Atom is a text editor that’s modern, approachable, yet hackable to the core—a tool you can customize to do anything but also use productively without ever touching a config file. Cross-platform editing – Atom works across operating systems. You can use it on OS X, Windows, or Linux. Built-in package manager – Search for and install new packages or start creating your own—all from within Atom. Smart autocompletion – Atom helps you write code faster with a smart, flexible autocomplete. File system browser – Easily browse and open a single file, a whole project, or multiple projects in one window. Multiple panes – Split your Atom interface into multiple panes to compare and edit code across files. Find and replace – Find, preview, and replace text as you type in a file or across all your projects. 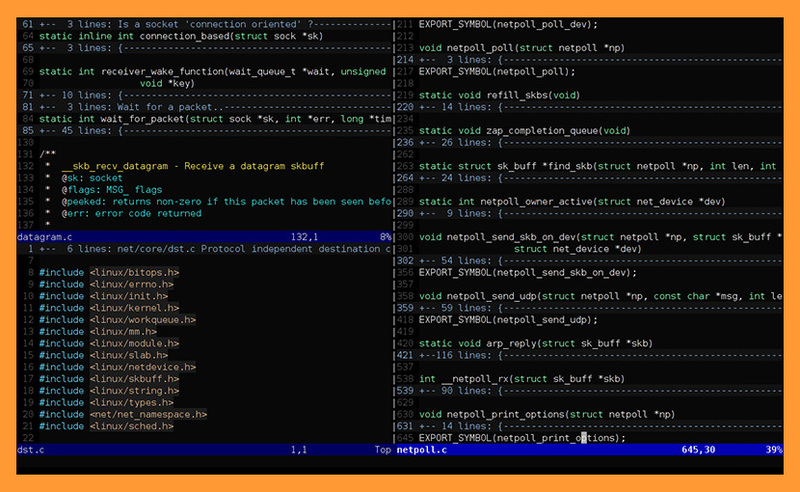 Brackets is a lightweight best code editor, yet powerful, modern text editor. We blend visual tools into the editor so you get the right amount of help when you want it without getting in the way of your creative process. You’ll enjoy writing code in Brackets. With focused visual tools and preprocessor support, Brackets is a modern text editor that makes it easy to design in the browser. It’s crafted from the ground up for web designers and front-end developers. Inline Editors – Instead of jumping between file tabs, Brackets lets you open a window into the code you care about most. Want to work on the CSS that applies to a specific ID? Put your mouse cursor on that ID, push Command / Ctrl+E and Brackets will show you all the CSS selectors with that ID in an inline window so you can work on your code side-by-side without any popups. Live Preview – Get a real-time connection to your browser. Make changes to CSS and HTML and you’ll instantly see those changes on screen. Also see where your CSS selector is being applied in the browser by simply putting your cursor on it. It’s the power of a code editor with the convenience of in-browser dev tools. Preprocessor Support – Work with preprocessors in a whole new way. We know how important preprocessors are to your workflow. That’s why we want to make Brackets the best code editor for preprocessors out there. With Brackets you can use Quick Edit and Live Highlight with your LESS and SCSS files which will make working with them easier than ever. 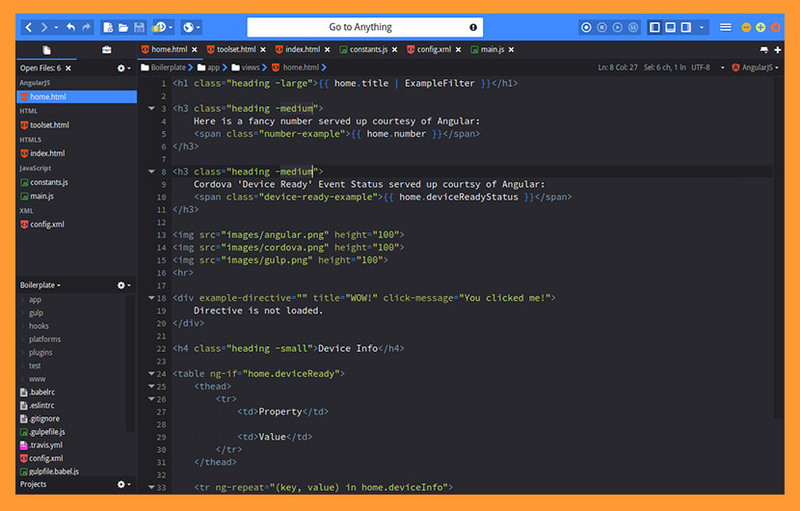 Code combines the streamlined UI of a modern html editor free with rich code assistance and navigation, and an integrated debugging experience – without the need for a full IDE. Free visual web editor. 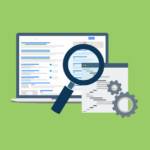 Meet IntelliSense – Go beyond syntax highlighting and autocomplete with IntelliSense, which provides smart completions based on variable types, function definitions, and imported modules. Print statement debugging is a thing of the past – Debug code right from the editor. Launch or attach to your running apps and debug with break points, call stacks, and an interactive console. Git commands built-in – Working with Git has never been easier. Review diffs, stage files, and make commits right from the editor. Push and pull from any hosted Git service. Extensible and customizable – Want even more features? Install extensions to add new languages, themes, debuggers, and to connect to additional services. Extensions run in separate processes, ensuring they won’t slow down your editor. 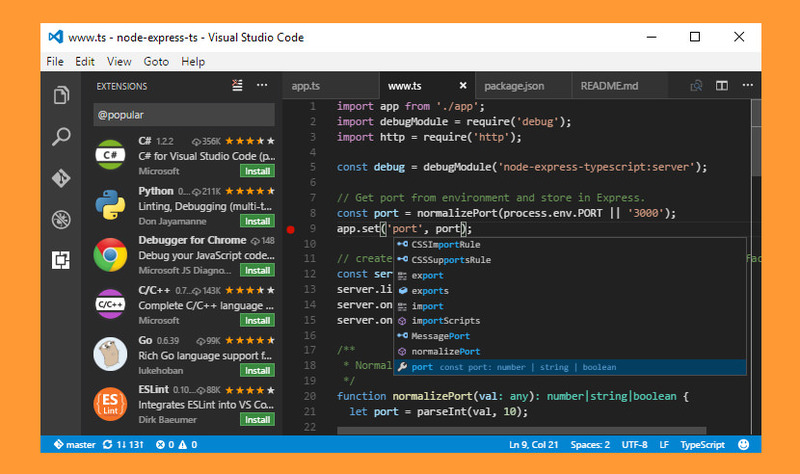 The world’s most powerful open-source web development IDE just got better. Rebuilt from the ground-up. It’s now much faster, customizable and includes new features to help you be more productive. Build web applications quickly and easily using the industry’s leading web application IDE. Aptana Studio harnesses the flexibility of Eclipse and focuses it into a powerful web development engine. Deployment Wizard – Support for one-shot as well as keep-synchronized setups. Multiple protocols including FTP, SFTP, FTPS and Capistrano. Ability to automatically publish your Ruby & Rails applications to hosting services such as Heroku and Engine Yard. Brackets is an open-source project, supported by an active and passionate community. It’s made by other web developers like you! With focused visual tools and preprocessor support, Brackets is a modern text editor that makes it easy to design in the browser. It’s crafted from the ground up for web designers and front-end developers. Emacs should make the list. It’s hackable to the core, open source and cross platform.